To save 40% simply enter your academic email address below and your coupon code will be sent straight to you! MacX DVD Ripper Pro is a must-have DVD ripping tool for Mac users to remove the latest DVD copy protection and liberate movies from physical disc, so you can digitize both old and new DVDs to popular video or audio formats. 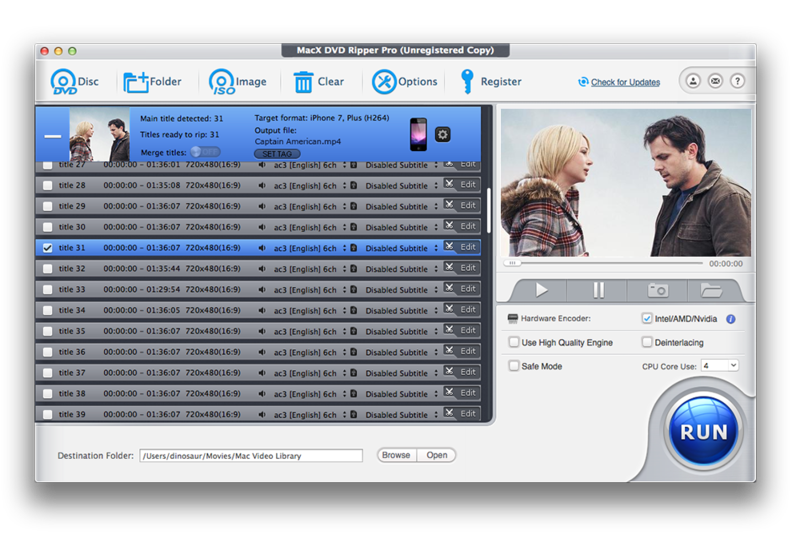 This software makes it easy to convert newly released DVDs, home DVDs to MP4, H.264, and other video for you to watch the content on Mac, iPad, iPhone, Android devices or stream the movie from Mac or NAS drive to HD TV. 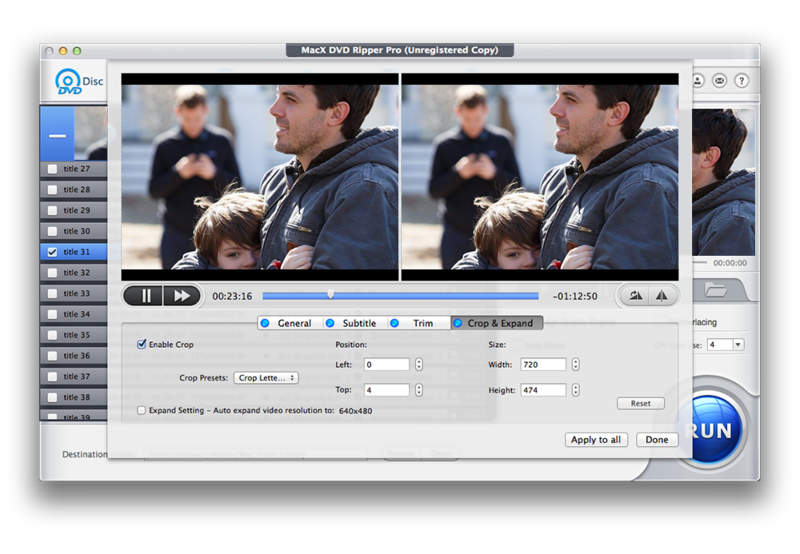 You can use the built-in editing tools to crop black bars in the widescreen movie you’ve already ripped. 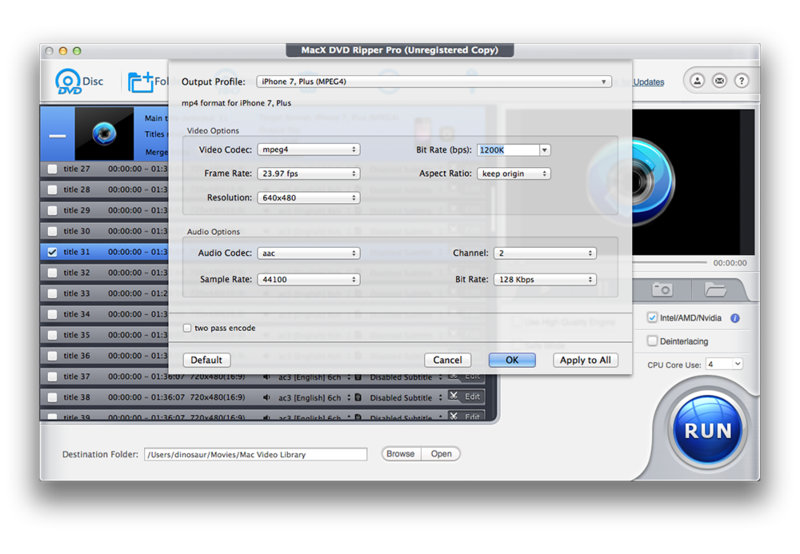 If some DVDs don't have subtitles for English or other language you speak, MacX DVD Ripper Pro will help you rip them and add external subtitle. Supporting level-3 hardware acceleration tech, it can rip a full DVD with lossless quality in 5 minutes where many other applications may take 1 hour.